NEW! 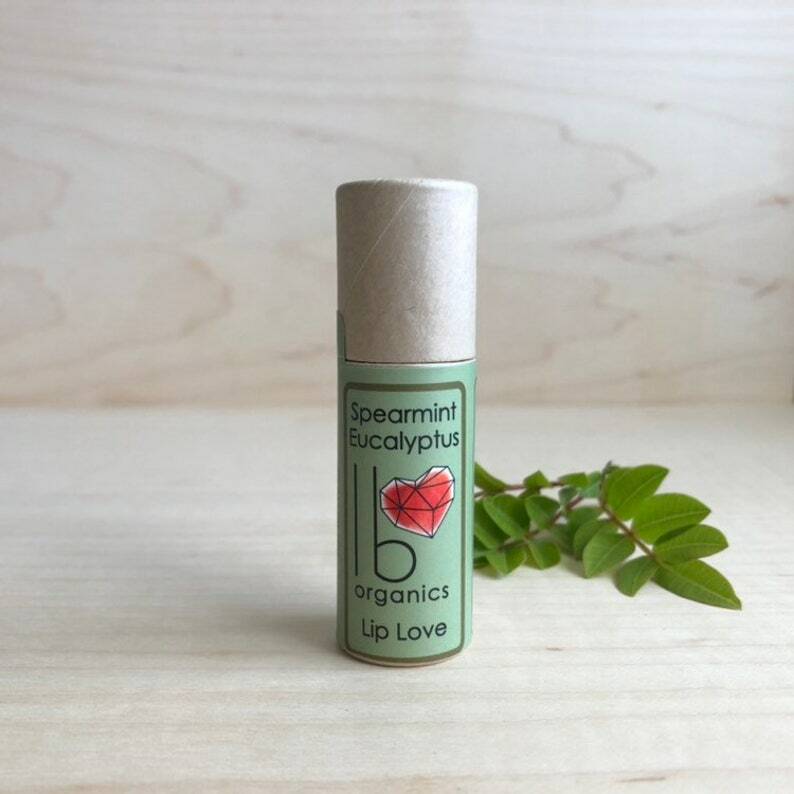 Zero waste paper tube option available- it holds twice as much lip balm, and the tube is 100% recycled paper, made in the USA, and compostable. Lips feeling dry + unloved? Lip Love to the Rescue! 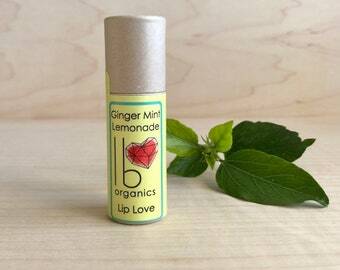 LB Love's zero waste 0.30 ounce Lip Love is made from just 4 organic ingredients: unfiltered shea butter, coconut and olive oils, and beeswax from a local beekeeper. 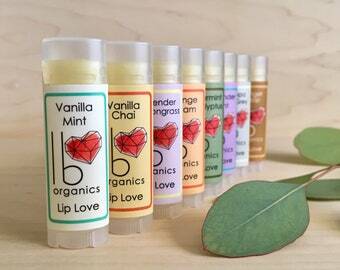 These extraordinary natural moisturizers will soothe and protect your lips, giving them just the love they need. Spearmint Eucalyptus is an earthy, minty combination in just the right proportions, and is well liked by both men + womxn. Note that I use 100% pure food grade essential oils- NOT artificial fragrance oils, + there are no sweeteners added. Live locally? Save on shipping by entering the coupon code LOCALPICKUP at check out.